"I have known Ray and his family for over 25 years and worked with Ray for 10 of those years. In addition to being an a trusted friend and dedicated family man Ray is thoughtful, knowledgeable and one of most outgoing Realtor s I work with. He continually impresses me with how efficient he is and how smoothly his transactions close. 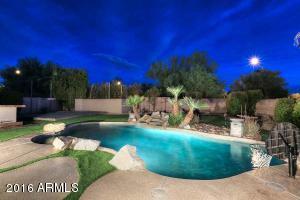 If you are looking for a Realtor in the Phoenix area the line starts and ends with Ray Saigh."